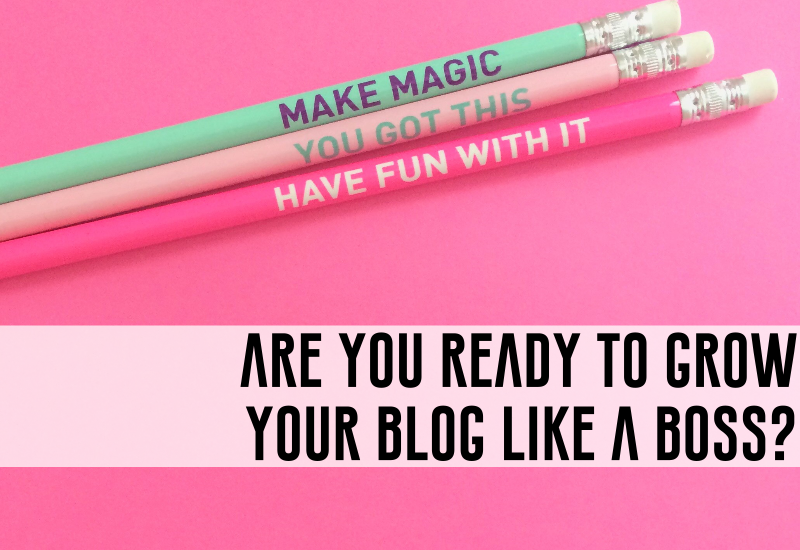 ARE YOU READY TO GROW YOUR BLOG LIKE A BOSS? I'm here to help and I hear you, loud and clear! When my agency takes on clients, it's typically on a monthly retainer basis where we manage and monetize their brand, but I'm happy to offer more affordable blog coaching sessions now too! Many of the bloggers that approach me are looking for advice on how to blog full-time, how to make money as a blogger, how to grow blog readerships or guidance on how to improve their overall brand. Despite me always being a busy bee, I'm dedicated to helping as many creative entrepreneurs as I can in making their business a success! If you are ready to grow your blog like a boss, let's do this! Mini sessions start at $150. Contact me to book your blog coaching strategy session! I've been keeping a little secret for a while and I'm happy to finally introduce you to STYLEMAKR, an exclusive workshop series. My first VIP blogger workshop, Optimizing your blog, will focus on how to strategize, maximize and monetize, mastermind style. Learn how to master the art of SEO, increase your affiliate sales, book sponsored campaigns, create killer content and implement a marketing strategy that actually works. Our aim is to empower, inspire and motivate you. Walk away with the tools and confidence it takes to build your brand like a boss! Next up in my Behind The Brand series is Luke Storey. Luke is a former Hollywood Celebrity Fashion Stylist, Founder of School of Style and host of The Life Stylist, his Health and Wellness Podcast. If that wasn’t enough titles to carry, I would also add that he’s a kind-hearted, badass who dresses well and inspires you to be a better human. I met Luke many years ago when I was living in LA, and was drawn to his powerful, yet calm energy. I admire his journey and how real and transparent he is. He tells it like it is, but remains compassionate and grounded at the same time. You can’t help but feel at ease in his presence, but don’t take my word for it, take a listen and see for yourself. I’m so excited to introduce my new interview series, Behind The Brand, featuring small business owners & creative entrepreneurs! My goal is to inspire and empower you by sharing stories of some ah-mazing bossbabes and bossdudes, as they navigate their business journey. First up is the adorable, rainbow-dipped duo, Jenna & Cortney. These beauties are the smiling faces behind, A Whimsy Wonderland, lifestyle blog and social media brand. Their fun, sense of style and silly approach to life is inspiring and downright infectious!